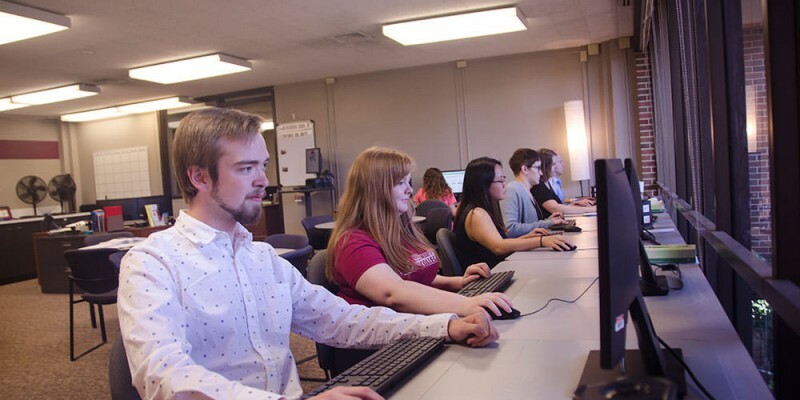 The Academic Resource Center strives to promote the success of every Friends University student by providing individualized assistance and supplemental resources. Our staff of professionals and peer tutors encourage students to develop the academic skills necessary to be effective, efficient, and confident in all academic and professional environments. The ARC is located on the first floor of the Edmund Stanley Library, in room 112. Adult and graduate students may still email papers during breaks. NOTE: The ARC will be closed for breaks, holidays and weekends around holidays. Holidays include, but are not limited to the following: Labor Day weekend, Thanksgiving break, Christmas break weekends and holidays, Martin Luther King Jr. Day weekend, President’s Day weekend, Good Friday, and Easter Sunday. The ARC provides a variety of help for students in the areas of writing, natural sciences, mathematics, music theory, accounting, and computer science. This free assistance is available on a drop-in basis on the first floor of the Edmund Stanley Library, Room 112. Fourteen peer-tutors, three professional writing tutors, and a professional math tutor offer one-on-one assistance for courses offered at Friends. Students are asked to bring their assignments, drafts, and/or notes and handouts to facilitate tutoring. The center provides tutors with mandatory training and in-services on a variety of topics, and the tutors meet a minimum number of tutoring hours each academic year. Resources for all types of writing, particularly research and documentation style, are available in the ARC. The center keeps a variety of textbooks, handouts, and dictionaries for student use. Students may use the computers to write papers, search databases and the Internet, access email, access Moodle, etc. Group study sessions are scheduled before tests in most of the disciplines. Students enrolled in the College of Graduate and Professional Studies may elect to email their papers to the Academic Resource Center at arc@friends.edu. This service exists throughout the year. Along with quick writing advice, we have numerous grammar handouts, style and writing handbooks, several ESOL (English as a Second or Other Language) resources, mathematics handouts, and computers with computer-science software, professional mathematical-computing software, Internet access, word processing, and printing. We also have charging stations available for students, calculators available for checkout, and a 76-key keyboard (with headphones) available during operating hours. The ARC is also home so Friends University’s Supplemental Instruction (SI) program. This program target historically difficult courses and offers a near-peer SI Leader to help dig into the course material each week; stop by for courses and meeting times. The ARC is the contact for all on-campus ADA accessibility concerns and any ADA accommodation requirements. Students needing to utilize ADA services should visit the ADA Services page before contacting the ARC. The Edmund Stanley Library provides many services and amenities, a tutorials web page to help you learn about the Library and how to use its resources, and a link to the online library catalog FriendLiCat. Your professional career starts here! The Career Services Office provides students and alumni of Friends University with information, tools and resources to explore career pathways and the steps needed to achieve your career goals. Maximize your future with assistance from the Career Services team. they offer help with career planning and career preparation, as well as providing career fairs, workshops, and networking events. What kind of assignments will the Academic Resource Center help me with? Our staff will assist you with any type of writing, whether it be class essays, research projects, graduate theses, grant applications, biology reports or even history term papers. Just bring in your draft and assignment (class notes, handouts, syllabus, etc. ), and we can help you. We also help with mathematics and science concepts, accounting practices, computer-science processes, and music theory. Where is it located and who helps me there? Our facility is located centrally on the first floor of the Edmund Stanley Library, in room 112. Our staff is comprised of Friends University alumni and student upperclassmen who have been through many hours of training to help you meet the demands of your courses. Besides tutoring, what does the Academic Resource Center offer? Along with quick writing advice, we have numerous grammar handouts, style and writing handbooks, dictionaries, mathematics handouts, and computers with computer-science software, professional mathematical-computing software, Internet access, word processing, and printing. We also have charging stations available for students, calculators available for checkout, and a keyboard (with headphones) available during operating hours. How can I use the Academic Resource Center if I am not on campus during the hours the Center is open? Students enrolled in the College of Graduate and Professional Studies can email a Word document and any assignment details to arc@friends.edu.